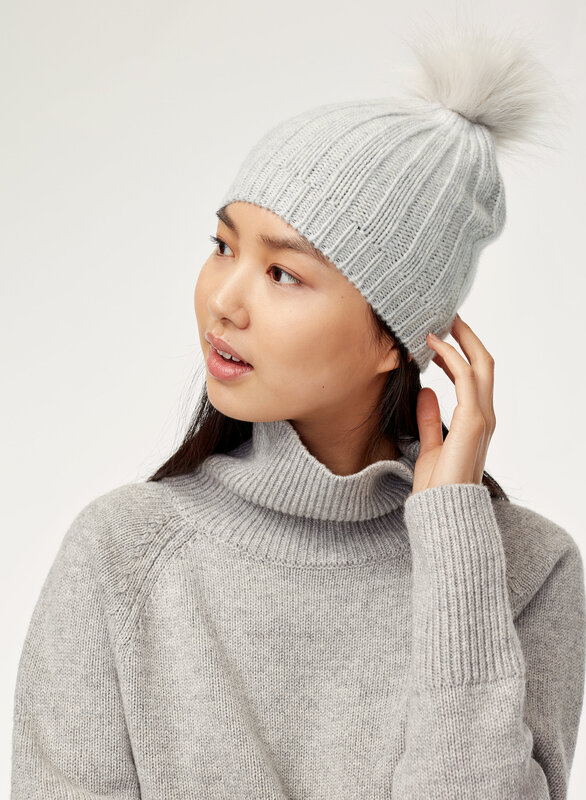 Styled with nicolas sweater . 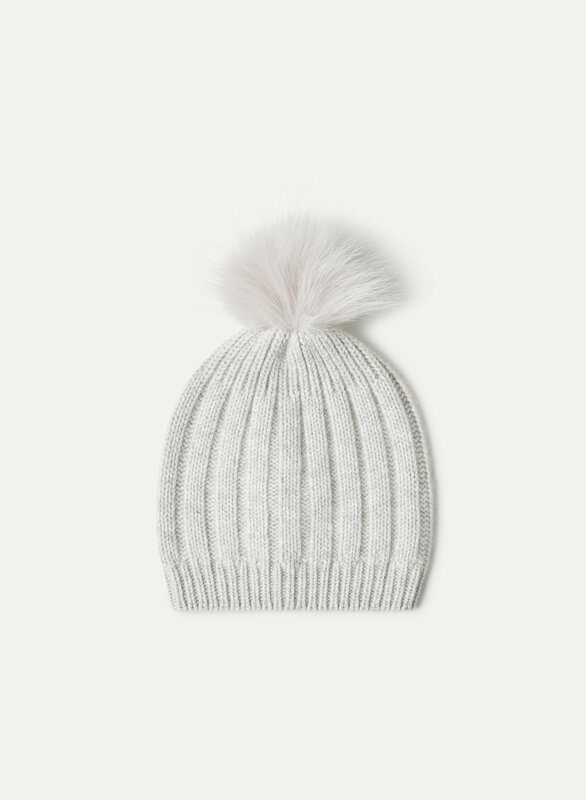 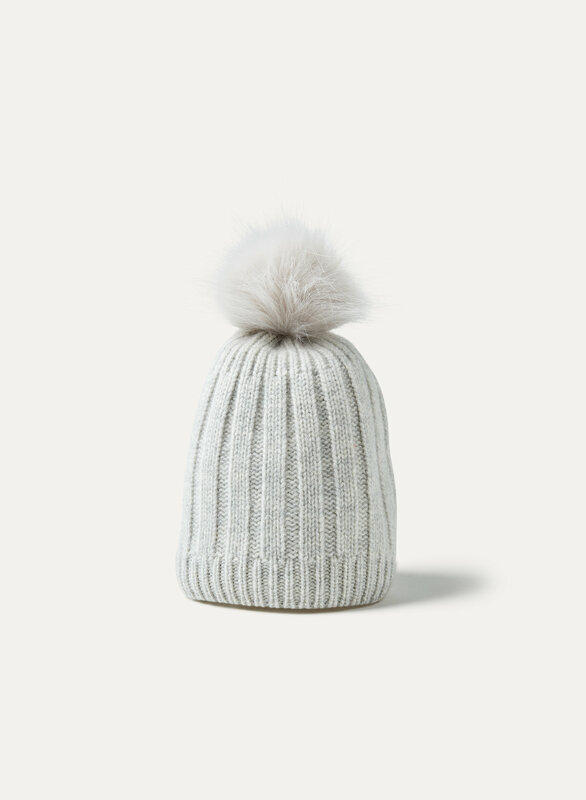 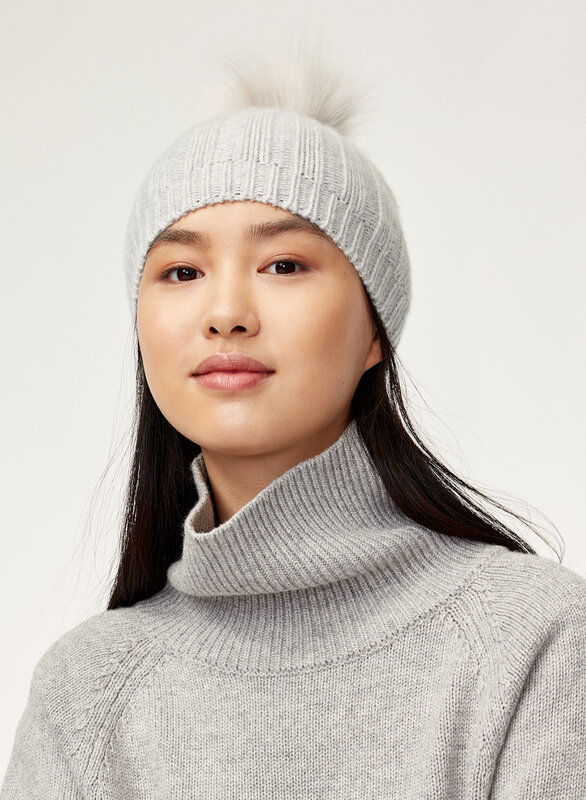 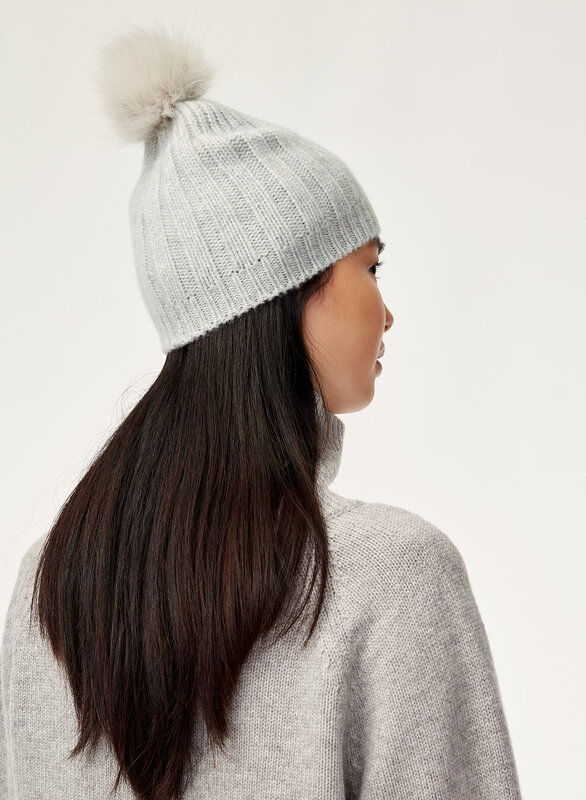 Made from pure cashmere, this beanie has a smooth rib-knit finish with a silky soft feel. 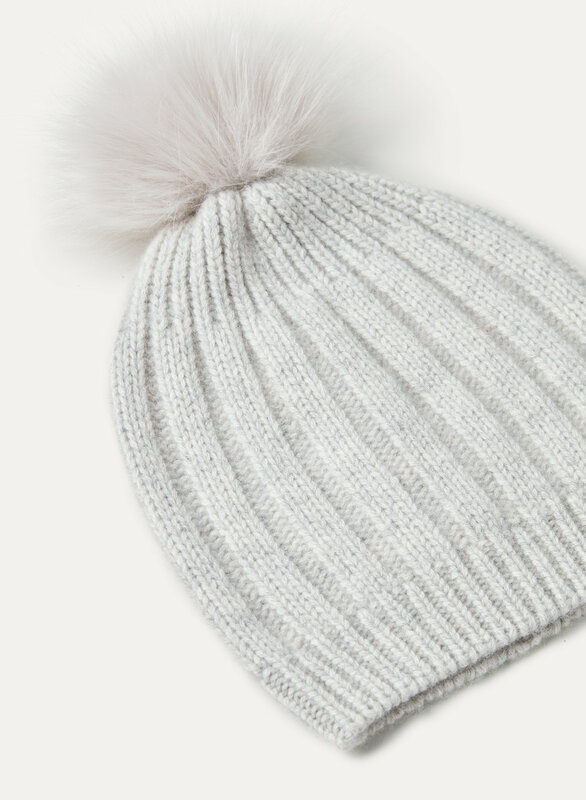 Complete with a fluffy faux-fur pom.